I learned this technique from a great speech pathologist. 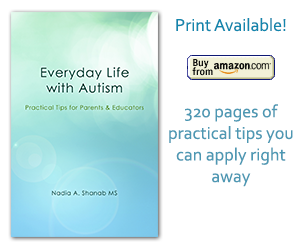 She recommended it to be used for an autistic boy with very poor speech and verbal skills. She gave me a binder full of pictures (around thirty pictures). The pictures were simple, colorful with large details. The pictures should also appeal to the children. The technique worked out very well for the student. we did also use a communication system called PECS which means picture exchange communication system where the child with no verbal skills can express himself through using pictures eg a picture for I want ,and a picture of a cup and he can give you the 2 cards to express his needs ,this also lessens their frustration because it is quicker and can be used in combination with your method to promote their verbal skills. 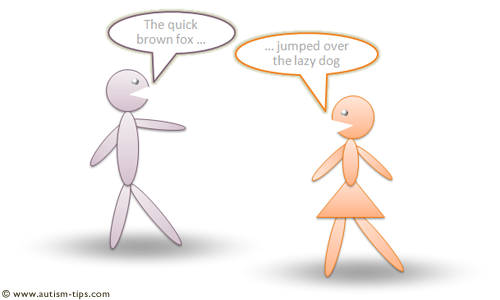 promoting verbal and non verbal methods can be used together .